Stars from the FIA World Rally Championship powered by Nokia will be making a vital contribution to a children’s charity in Greece ahead of next week’s Acropolis Rally. Organisers of the Loutraki-based contest, round six of the 13-event WRC, have teamed up with Fidusa, a manufacturer of hand-made bicycle frames, to raise funds for the ELEPAP charity in Greece. Fidusa has produced bikes in the colours of Citroen Total World Rally Team, Ford World Rally Team and WRC Team MINI Portugal. The bikes will be signed by leading team drivers and will be subjected to bids through an online auction at http://www.ricardo.gr from 24 May when they will also be displayed in the permanent service park in Loutraki. ELEPAP, the Hellenic Society for Disabled Children, has been helping children with impaired mobility in Greece since 1937. 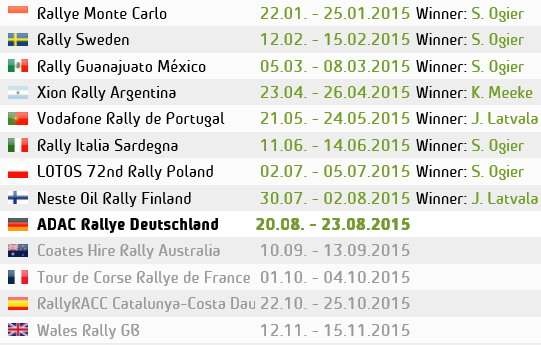 The Acropolis Rally runs from 24-27 May.